Small business web design on WordPress for information bureau with online repository, news and events. 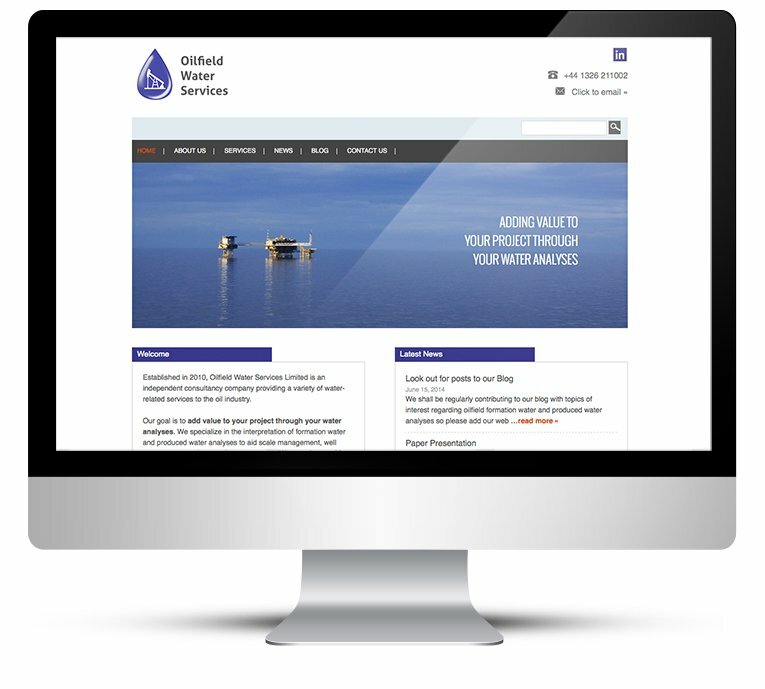 Established in 2010, Oilfield Water Services Limited is an independent consultancy company providing a variety of water-related services to the oil industry. 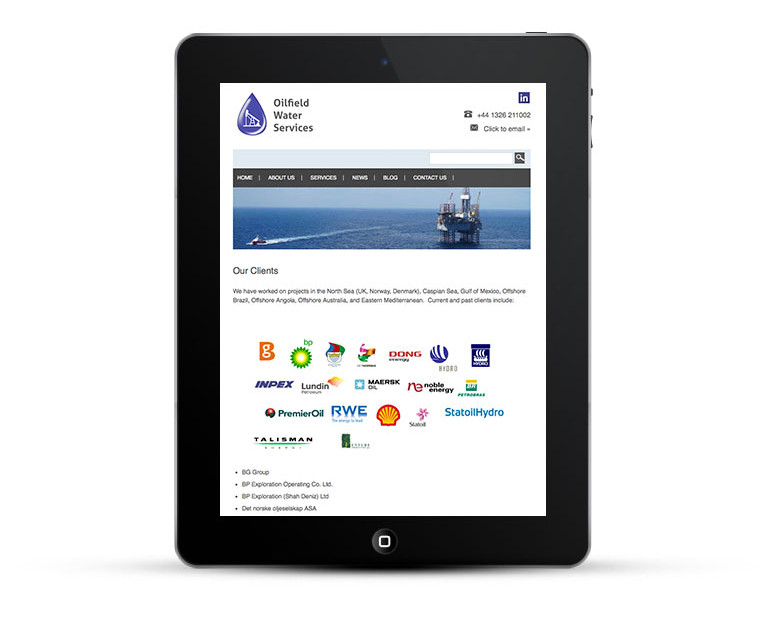 A new website was required as the existing website design was done 4 years ago and required updating. There was a great deal more information that could be placed on the site to promote services. 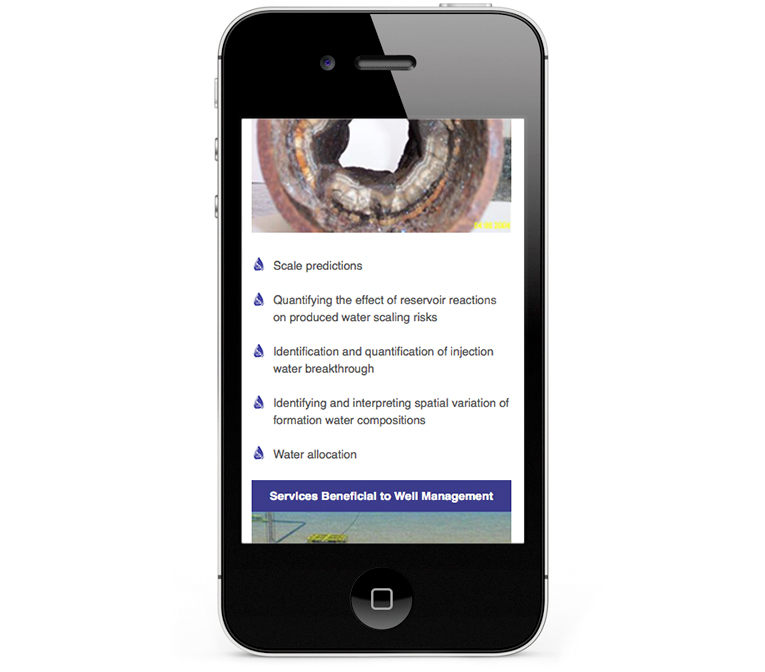 The new website needed to be a clean design and easy to navigate. 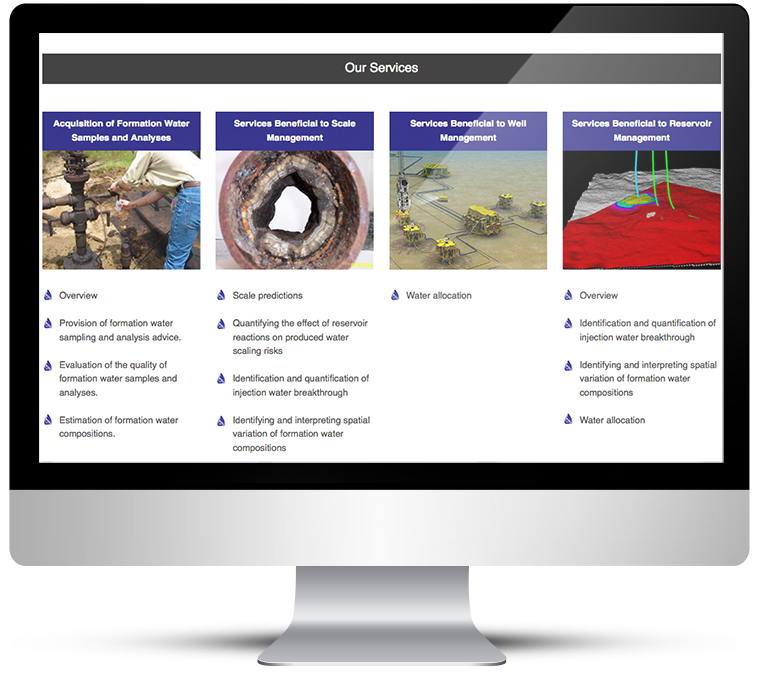 The site needed to be extremely well structured and organised with pages displaying industry publications and other useful information. There was also a necessity to source images for the site. This website is designed to be informative, so it is quite text heavy. Colour blocks and images break up text-heavy pages. 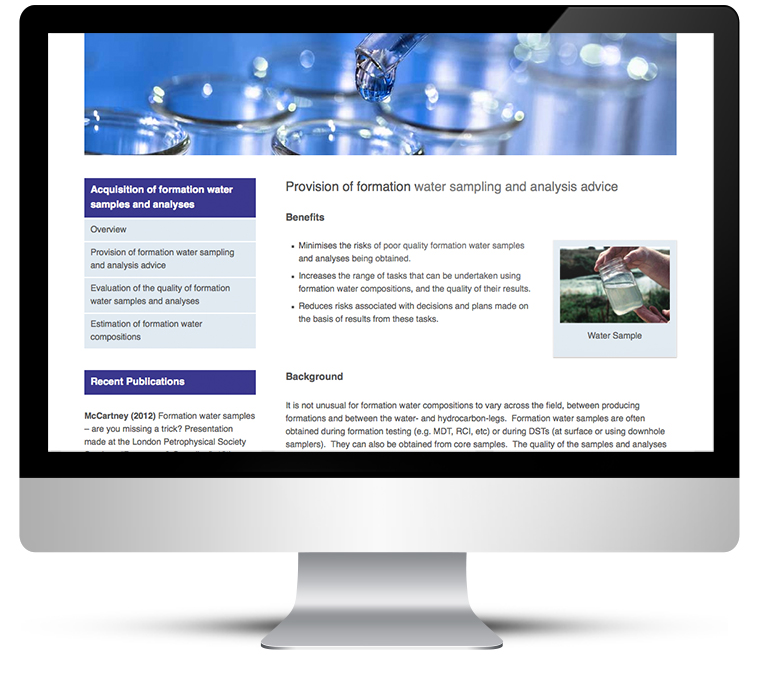 This is a specialist company providing water analysis to the oil industry, so is a point of reference for clients to get all of the information they could need. 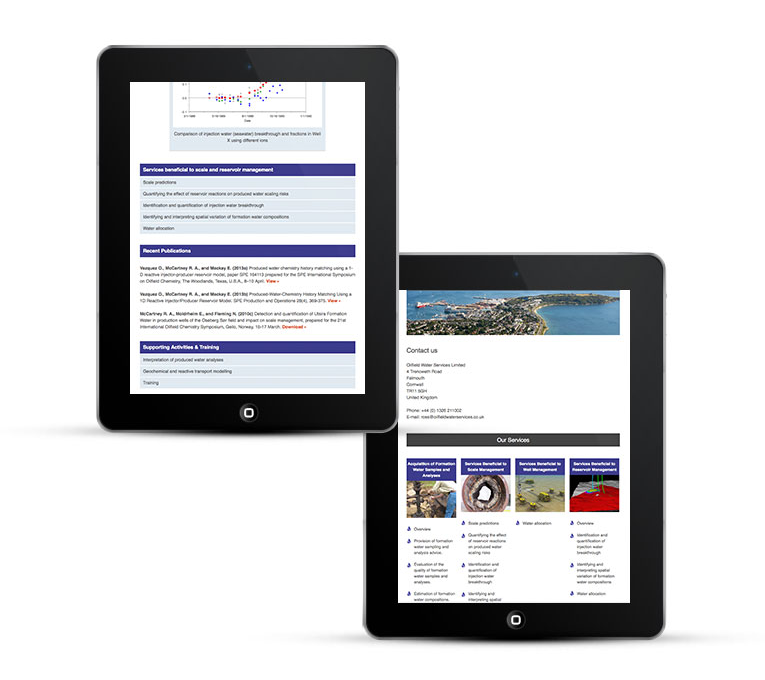 Navigation is paramount for visitors to get to information quickly, several menus are available throughout the site, service sections have their own menus. Having a WordPress design is essential to the success of this website because content needs to be regularly updated and added. Colours are blue, to portray on the water theme and to fit with the existing logo. I used blocks of colour to highlight titles and other areas of interest. I chose water themed images, mostly abstract. The WordPress blog enables the client to provide regular updates. 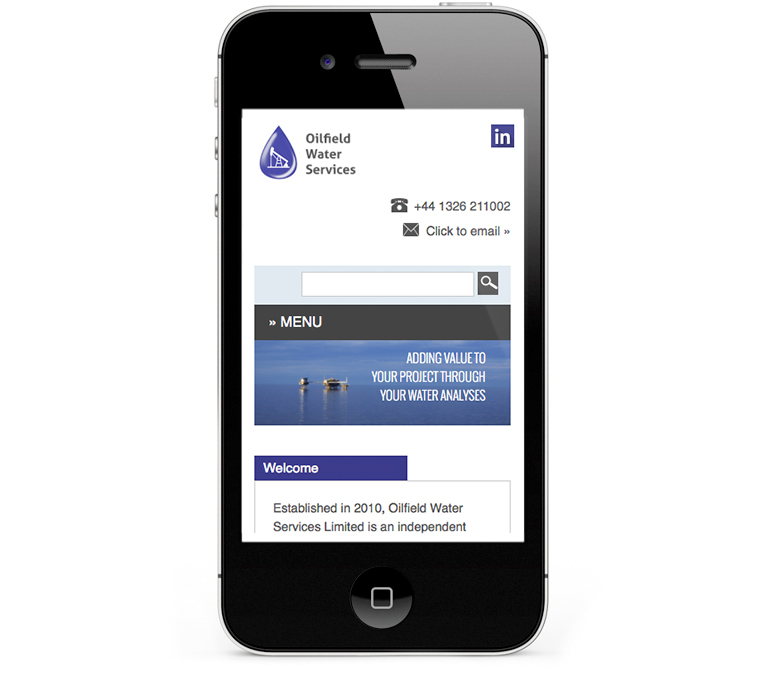 Small business web design is mobile responsive, a liquid layout that adapts to any device.